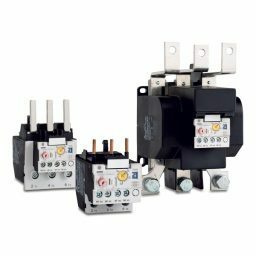 We carry a large stock of New Single Phase, Three Phase and Direct Current motors. 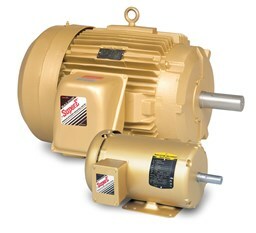 We also have a substantial inventory of used and rebuilt motors. Call or email for specific model availability. We carry Gates fixed bore and bushed-bore pulleys in common sizes from 1.8″ to over 10″ diameter. 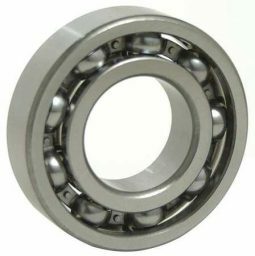 Our large bearing stock allows us the ability to supply customers’ bearing needs, while allowing us to complete repairs as quickly as possible. We also sell the full line of Gates couplings, belts and related power transmission components and supplies. Other sizes, types, manufacturers are also readily available. Non-stock sizes can be readily obtained overnight, any brand. Our supplies of power transmission accessories are always increasing, let us know your needs and we will add to our stock accordingly. Whether you need a source for belts, sprockets, chain or specialties, we can help! Most parts that are not in stock can easily be obtained in a day or two, utilizing our sources located in Chicago and Minneapolis. We routinely are only 1 day shipping from either location!